The management system for GDPR Compliance is a high-level dashboard which enables the monitoring and tracking the activity of account and management and report the status to take the desire action. With the help of Data Controllers you can clearly determine the implementation of data protection and information management strategy and Management Reports lets you the improvements towards achieving desired outcome. 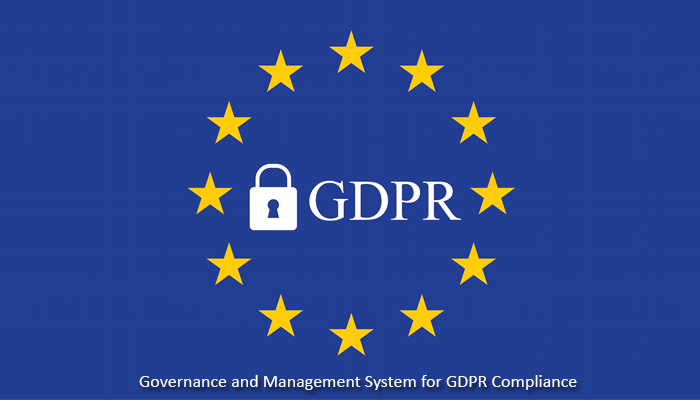 The Management System for GDPR Compliance lets you to implement data protection program, track and monitor the actions and respond those to handle easily within short time and resources. As per legal obligation the proper planning and documentation is essential for processing personal data or specific data and the precautions being taken to protect the personal data being processed. A comprehensive and integrated approach to GDPR Compliance is known as the GDPR governance and management system. Here is an image of Governance and Management System for GDPR Compliance to understand in better way. Prepare for certification – ISO 27001, ISO 27017, ISO 27018, ISO 27032, ISO 30301, ISO 29190, etc. Demonstrable and apparent levels of data protection compliance.